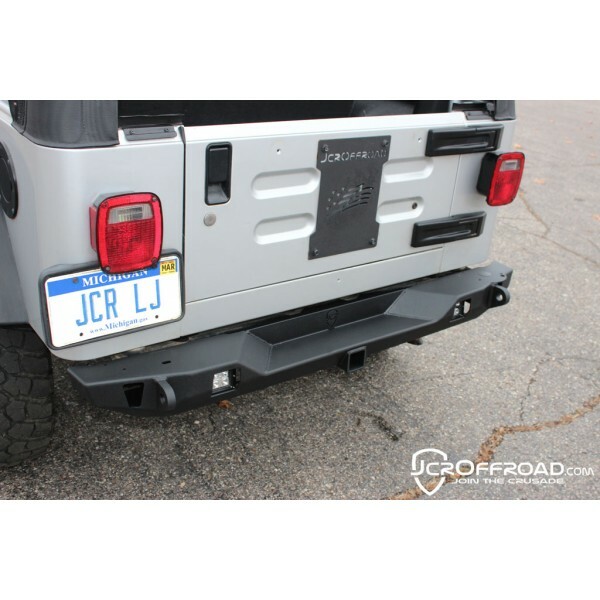 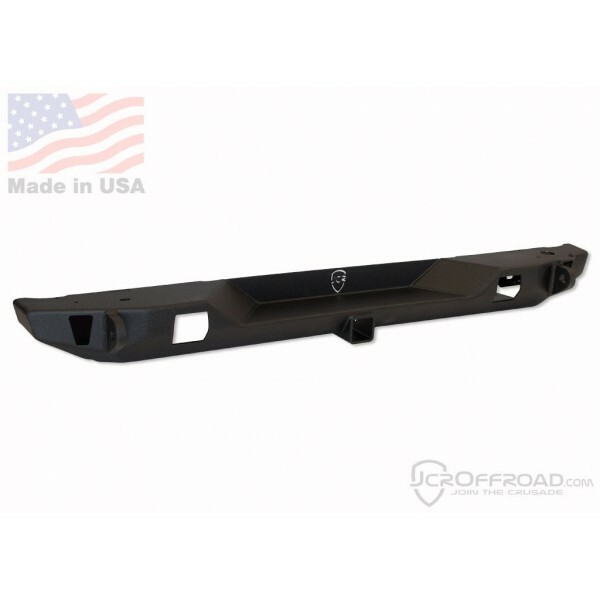 JCR Offroad's Crusader Rear Mid Width bumper is designed for those looking for improved clearance but still want protection for the body of the Jeep Wrangler TJ. 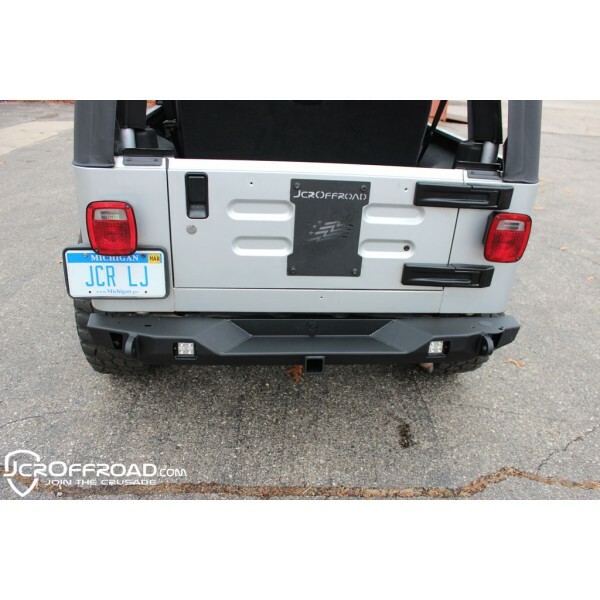 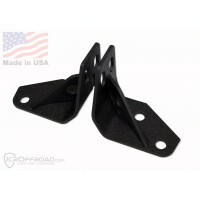 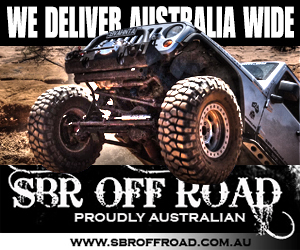 • Tire Carrier Ready, accepts either the JCR Offroad Adventure Carrier or Shield Carrier. 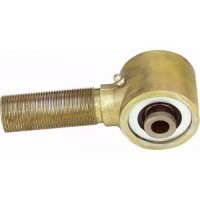 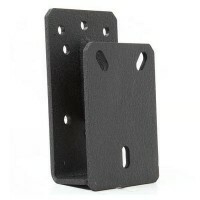 • 2" Receiver with Safety hangers. 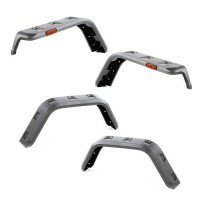 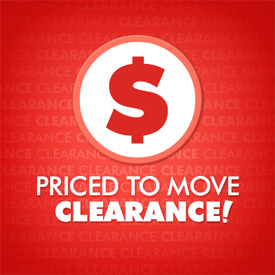 • Accepts aftermarket 3x3 LED Cube Lights. 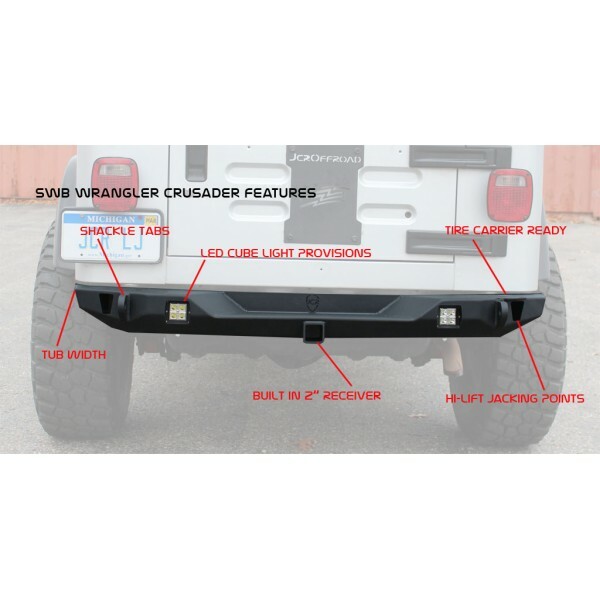 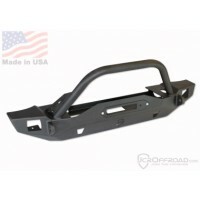 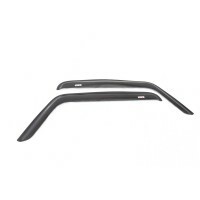 TJ Wrangler Rear Bumper Frame Tie-in Kit (Bare Steel Finish) Rear Jeep Frame Tie-in's T.. 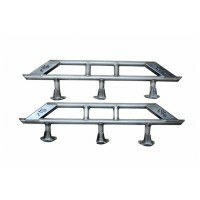 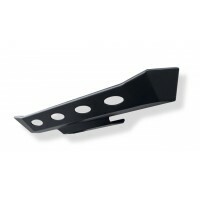 Spare Tyre Relocation Bracket Product DetailsClear up to a 35 inch tire without the need of a tire c..